Engage3 secures investment from Moneta Ventures to accelerate Implementation of personalized promotions platform. Engage3 brings 1:1 personalized promotions to retailers, manufacturers, consumer media companies, and the connected home. By leveraging the combination of data science, digital assistants, and competitive intelligence, Engage3 is able to return a 5x improvement over traditional mass promotions. Engage3, a leading competitive intelligence and consumer personalization company, announced today that Moneta Ventures will lead the investment of its Series B round of financing. Folsom-based Moneta is the leading technology venture firm in California’s capital region investing in software, cloud, internet, and consumer sectors. 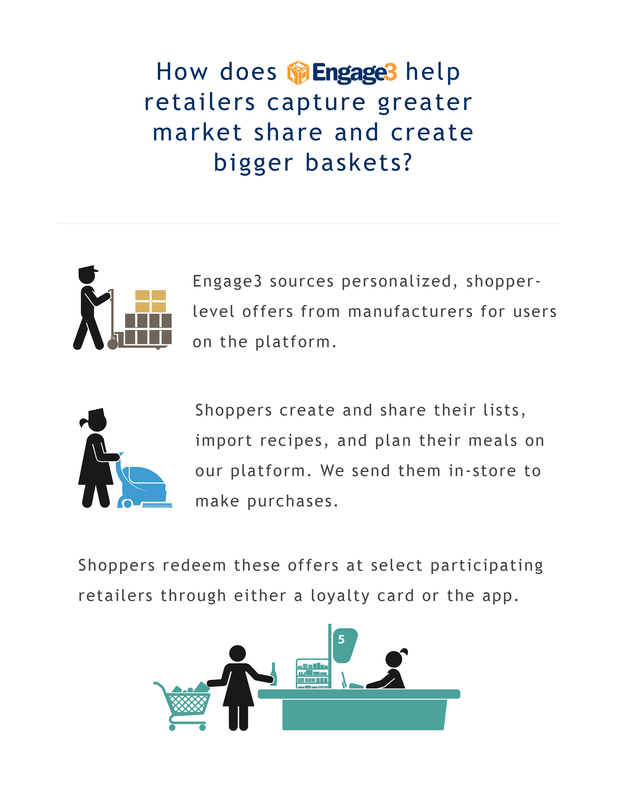 Engage3’s cross-industry platform addresses several challenges plaguing the Consumer Packaged Goods (CPG) industry. As it becomes increasingly important to differentiate from both traditional brick and mortar competitors as well as growing online threats such as Amazon, retailers are faced with a uniquely difficult challenge: they must execute effective pricing and assortment strategies while developing a personal relationship with their customers. 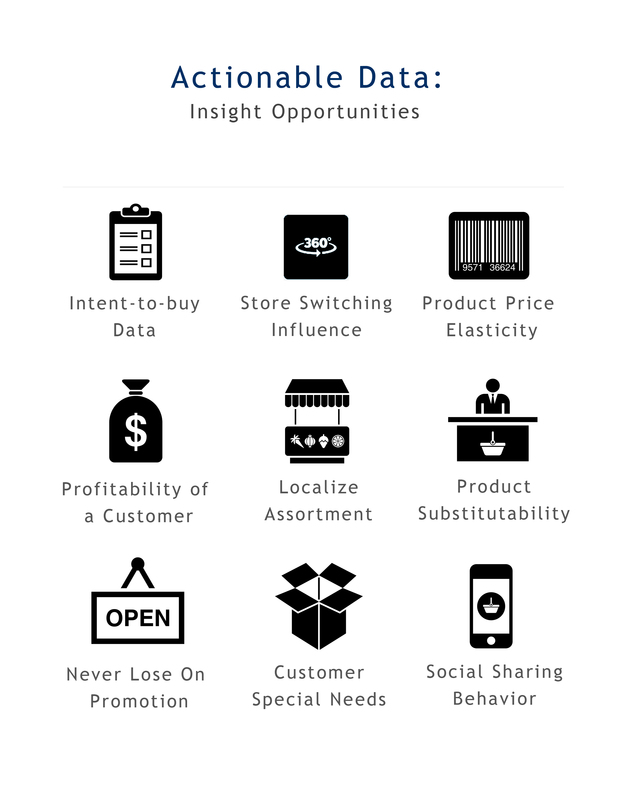 Engage3 provides omni-channel competitive intelligence solutions that leverage data science, analytics, and over 40 years’ worth of product and pricing data to help CPG companies set competitive market prices while maximizing margin. At the same time, in CPG alone, $1 trillion is spent globally on consumer and trade promotions but most fail or break even. Engage3 incorporates digital assistants, predictive analytics, and its market intelligence cloud to improve and personalize marketing. This leads to improved customer targeting and personalized promotions, maximizing profit and customer loyalty. The platform will be deployed through consumer media companies, directly through retailers’ loyalty and customer relationship management programs, and via the connected home. The company plans to use the capital to ramp revenue growth from its competitive intelligence platform and to accelerate the implementation of its personalized promotions platform. By leveraging the combination of data science, digital assistants, and competitive intelligence, Engage3 is able to return a 5x improvement over traditional mass promotions, as found in a study with Arizona State University. IDC Retail Insights recognized Engage3 as an early mover in the space of participatory commerce and predicts that by 2020 product intelligence clouds such as Engage3’s personalization platform, will influence $3.7 trillion of retail spending in the U.S. alone. Founded by the same team that pioneered Retail Price Optimization at Khimetrics, Engage3 combines data science, deep domain expertise, and innovative technology to be a leading competitive intelligence provider and consumer science company. Engage3’s omni-channel competitive intelligence SaaS platform, MissionControl™, improves CPG companies’ competitive visibility and maximizes the ROI of their competitive intelligence programs. MissionControl™ is powered by advanced predictive analytics and Engage3’s historical product and pricing database, which consists of over 8 million UPCs and 10 billion price updates per year across over 32,000 retail locations. 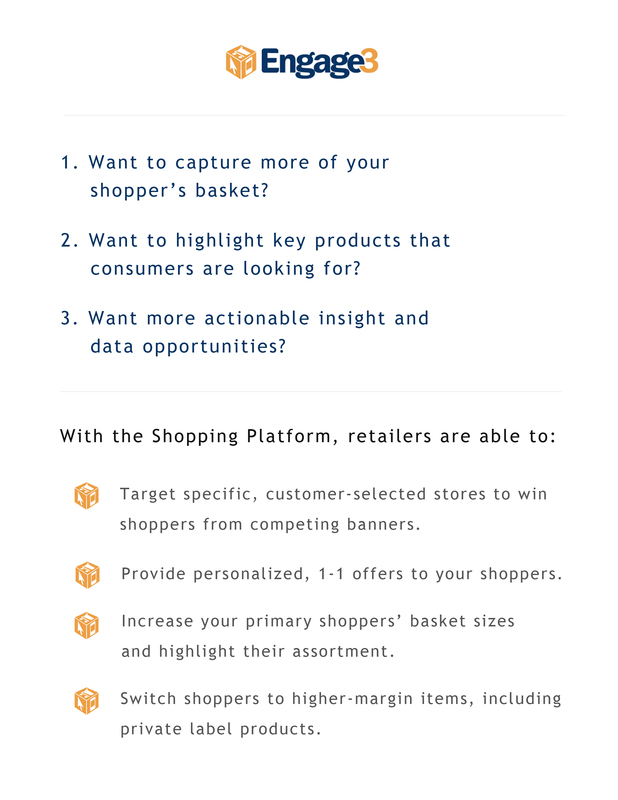 Engage3 is also recognized by IDC Retail Insights as a first mover in providing participatory commerce solutions for retailers and manufacturers via its personalized offers platform, Vantage Offer Optimization™. The platform leverages digital assistants to enable true 1-1 offers that improve the ROI of trade funds 5x over traditional promotions and help retailers & brands transition to this hyper competitive future of personalized pricing. More information is available at http://www.engage3.com. Moneta Ventures enables entrepreneurs to grow their early stage companies by providing capital, guidance, and operational support. Moneta Ventures invests in early-mid stage companies in the software and cloud services, IT services, and internet and consumer services sectors. Moneta Ventures focuses on highly differentiated companies with highly-scalable business models. For more information, visit http://www.monetaventures.com.